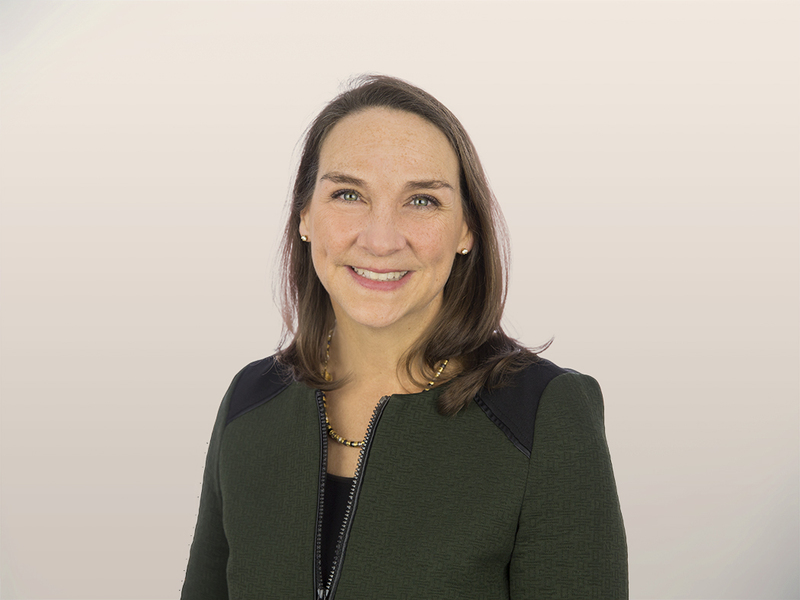 Looking for a new data source to deliver differentiating insights? Yeah, you and everyone else. It’s not easy to find that local knowledge or the heads-up about something that will drive business. There is more and more information out there. We’re constantly bombarded with news. Headlines scream at us via email, Facebook, Twitter, LinkedIn, or the print versions of our old-time favorites (yep, I still get a paper copy of The Economist). If you’re like me, you struggle to get through them all. A quick scan is all most get — if I’m lucky. In researching new data and insights sources, I found a cool tool: Quid. 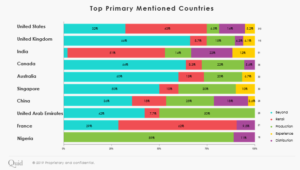 Quid helps explore unstructured data — as in news! And the team recently showed me how it works with an overview for my new food tech research. The Quid tool works with any unstructured data, including its own data sets — news and blogs from over 550K sources, profiles for 1.8 million public and private companies, and patent information from 50 jurisdictions. And it supports custom data uploads to bring in customer opinions, job postings, corporate filings, or any relevant unstructured content. What does it do with them? It reads the text and identifies key words, phrases, people, and organizations. It compares the documents and identifies commonalities and patterns, then it maps them. Each node represents a document. 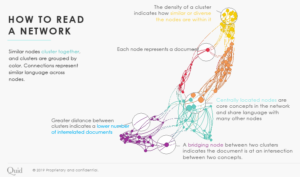 Related documents form clusters, differentiated by colors. Larger, centrally located nodes represent core concepts with links between related nodes. With this analysis, major themes pop out. Let’s look at how Quid makes sense of food tech and the future of food. First, we captured the steps in the food value chain: production, distribution, retail, experience, and beyond. “Beyond” is how I’ve come to think of what happens after the “fork” in the “farm to fork” journey. Next, Quid scoured news sources and mapped out some truly interesting findings. In fact, “beyond” is big in the food landscape. While production (in green) represented 18% of news articles, distribution (in purple) 12%, retail (in red) 19%, and experience (in yellow) 12%, “beyond” (in blue) represented 37%! Drilling into the topics reveals interesting themes. 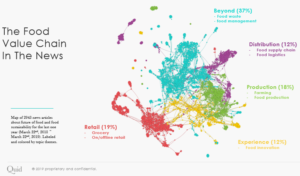 The “Beyond” category reveals a focus on food waste. In distribution, food security takes a top billing. In retail, it’s all about online grocery shopping with some interest in autonomous delivery, as well. Experience and its focus on innovation overlapped with production. But interest, or at least media coverage, in these categories differs by country. “Beyond” and the concern about food waste makes up almost two-thirds of media coverage in the UK and Canada and over half in Australia and Singapore. But it is barely on the radar in India and not at all in Nigeria. Retail is top of mind in India and France. And in Nigeria, representing more emerging markets, production occupies 89% of media coverage on food. In the US, retail takes the lead, and food production garners less attention than in other countries. Bottom line: There is a ton of news out there about all topics. We’re overwhelmed by the flood. I’ve been trying to get my bearings in the world of food tech, food systems, and the whole food value chain — from farm to fork and beyond. New tools like Quid can help make sense of it all, separating the wheat from the chaff. What are the main themes? Who are the main players? And how do they differ across countries? I will definitely be focusing on food waste in my upcoming research.